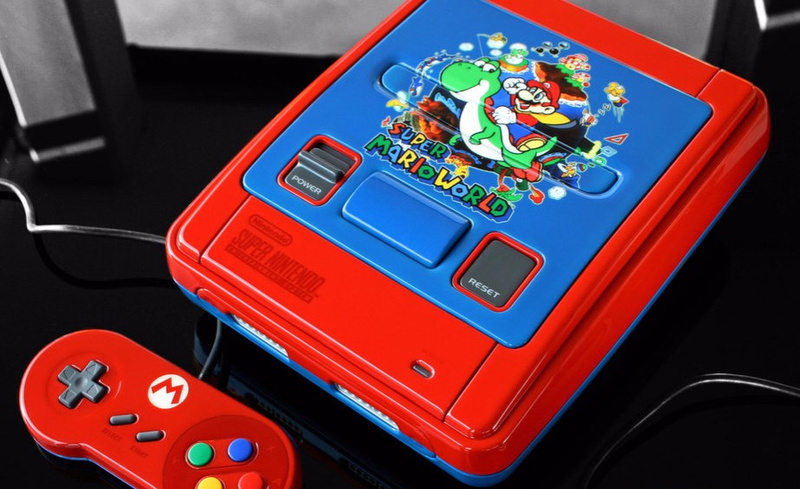 This year marks 3 decades of Super Mario goodness, and famed console modder Zoki64 decided to celebrate that fact with a gorgeous custom SNES system. This year is also the 25th birthday of Super Mario World, the game which launched the SNES and took Mario to new heights. Not one to miss an excuse to make vintage hardware look even more appealing, Zoki64 has produced a special SNES - based on the European model - to celebrate the birthday of this iconic 16-bit title. 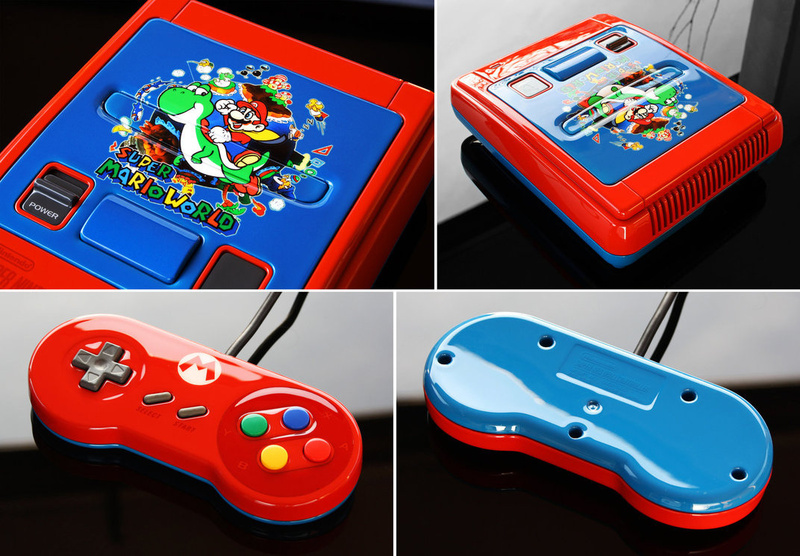 The console boasts a lovely new paint job and has the famous Super Mario World artwork on top. The pads have also been given a glossy makeover. My favourite console and game together, and the art itself is pretty good. I would like that. Can...can I have it? Please? Why won't my wallet go through the computer?!? I like it. That artwork is beautiful, and it would have been a much better boxart for the game than the plain blue background. looks coo l but that Mario logo on the controller is not of this era. @ekreig That was the original boxart i believe. I think re-releases were different. Don't suppose he's giving them away? Say, in a 25 foot boat crossing the Pacific Ocean next Tuesday? Ah good, I was hoping to have a 25 foot boat to fill with the money I'd pay for that.